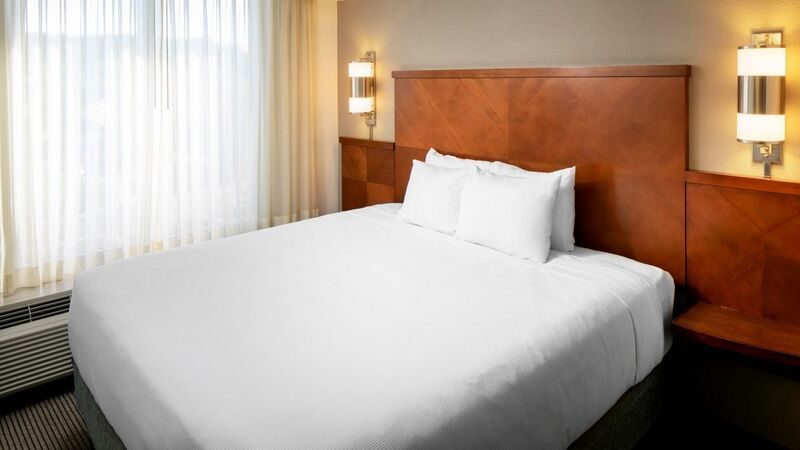 After a busy day downtown, kick off your shoes in a simple space, with soft bed sheets, king-sized sprawling room, and a touch of luxury hidden in the bath amenities. 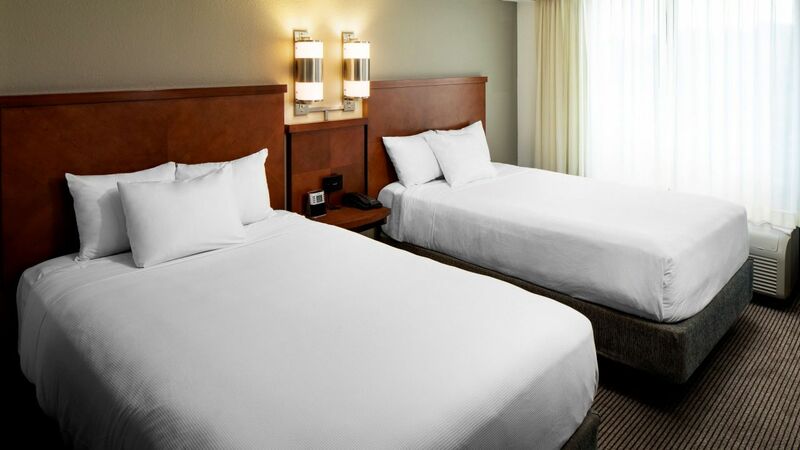 Hyatt Place Dallas / Park Central offers cozy perks like sofa-sleepers and separate sitting areas, along with convenient amenities in the form of coffeemakers, 42” TVs, alarm clock radios, minibars, and hair dryers. 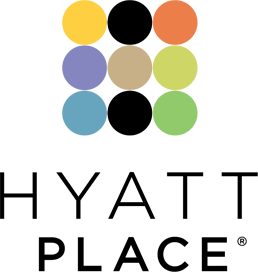 Give guests that need assistance an accessible room with a roll-in shower, along with additional ADA amenities like CC TV, lowered wall features, raised toilet seats, and user-friendly closets. 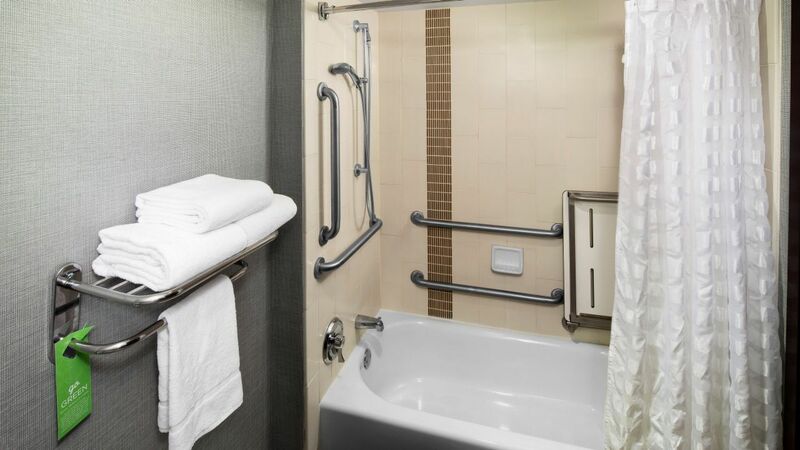 Feel comfortable in an accessible room with ADA-compliant bathtub (and grab rails), fire alarm system, cordless phone, lowered bath fixtures, and one king-sized Hyatt Grand Bed™. 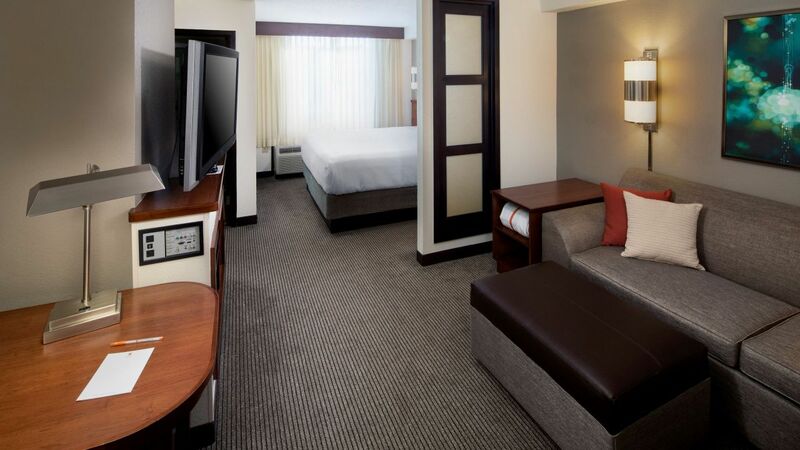 There’s nowhere to go but up, and our King Bed High Floor offers extra head space with a king bed, sofa-sleeper, seating area, separate work desk, 42” TV, and minibar. This High Floor room with spacious ceilings allows guests to spread out in more places than the average unit, from the double beds to the stylish seating area with a sofa-sleeper. Furniture offers flair and space-conscious care in the Standard Double Bed, which fits a seating area, sofa-sleeper, minibar, and oversized work desk. 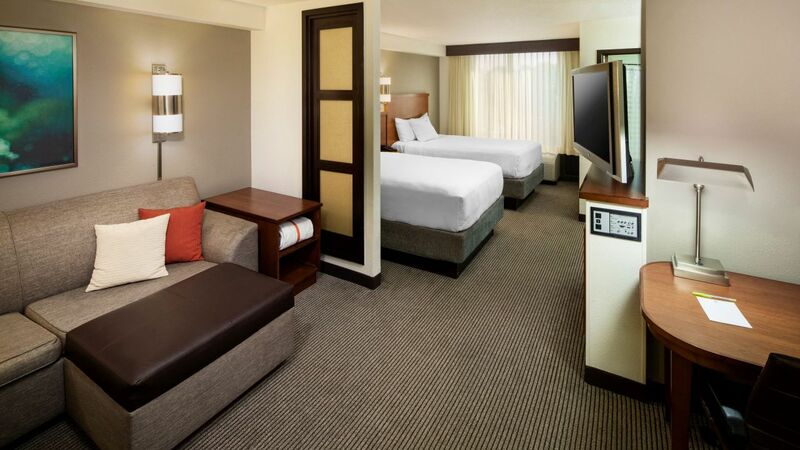 Enjoy a spacious room with contemporary décor and a king-sized Hyatt Grand Bed™, sofa-sleeper, separate seating area, and 42” TV.